Please select a variant to display availability and delivery time information. 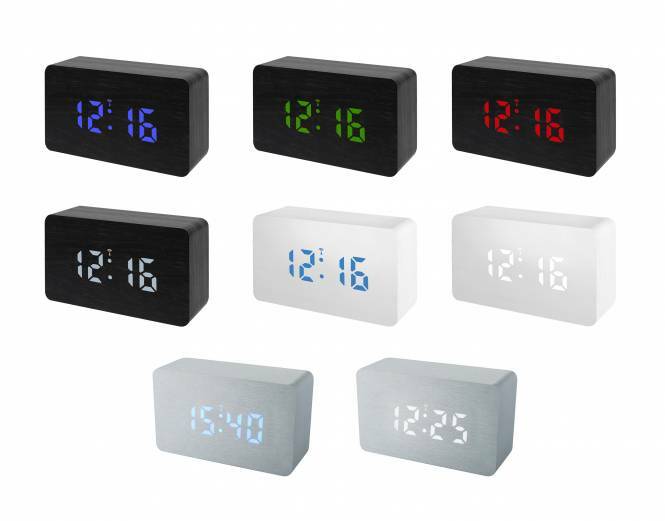 Wireless alarm clock in wooden optic with time, date and temperature display. LED light is dimmable in 3 steps. Ideal for using at night. The clock can be used with a power supply or with batteries (optional). Note the safety warnings in the manual. Power adapter included. Batterie operation optionally. Batteries not included. 2 Battery operation optionally. Batteries not included.